there is no "Firefox updates:" option, only there is Automatically updates: search Egnines. How can I find "Firefox updates:" option in "firefox preferences > Advanced > update" tab. You'll be able to update your Firefox from the Update Manager when a newer version of Firefox is out and updated in the repositories. You can find the Update Manager from the Unity Dash - Press Super key and type Update Manager and click on the icon that shows up. Any and all packages that have an update will show up there and you can update them if you choose from there. Do remember to click on the Check button and then clicking on the Install Updates button, that way the repositories get checked for updates and then you can install updates of your choice cleanly. About:config app.update.enabled see: http://kb.mozillazine.org/App.update.enabled and related entries will give you some options on this. It will not enable the checkmarks in the GUI however. Not the answer you're looking for? 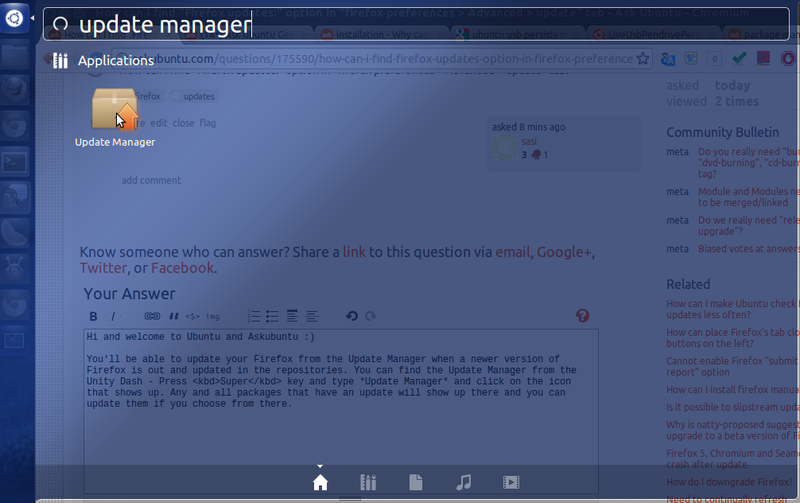 Browse other questions tagged firefox updates or ask your own question. 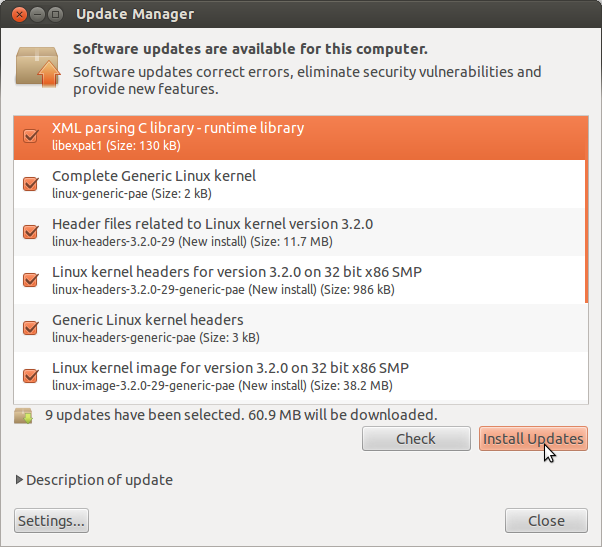 How to install Firefox 14.0.1 (or any other latest version) on Ubuntu 10.10? How to stop the Software Updater. from nagging about the Firefox updates?